A conversation and some incredible moments of Gary McCall documenting Irelands emergence into the big wave world. Surfing has been thriving in Ireland since the late sixties, but it’s the last fifteen years that have seen a real boom in the nation. Dedicated local communities have popped up along it’s coast and crazy big wave discoveries have flooded the international surf media. There are several players, both photographers and surfers, who have been and remain instrumental in the development of surfing in the country. They’ve pushed the boundaries of what is surf-able, and showm the world the incredible wave quality and staggering beauty on offer. Gary McCall is one of those players. 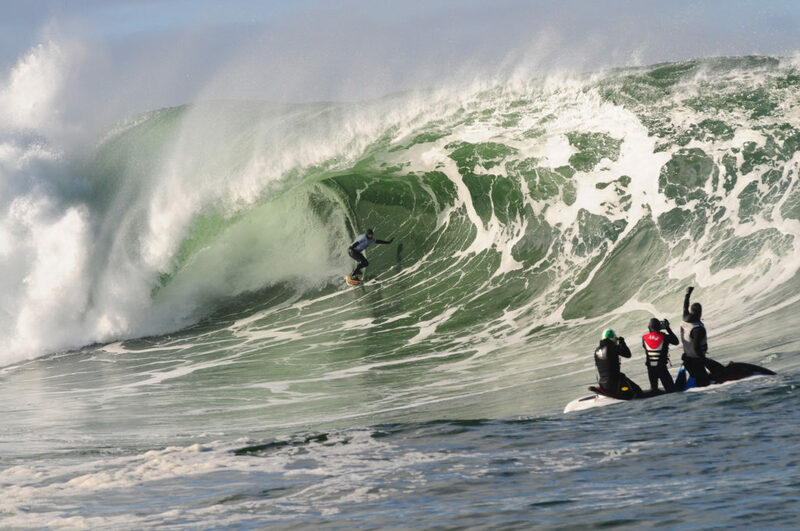 He was present during big wave surfing’s Irish boom time. We caught up with him and asked him to tell us a little more about the scene, and to show us some of his favourite images from the last decade. 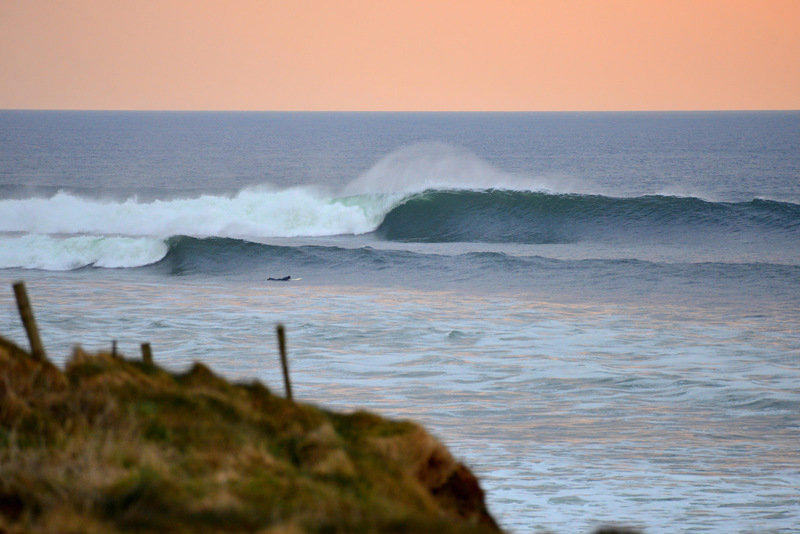 When and how did you get into shooting surfing in Ireland? Well I started surfing myself when I moved to the North Coast in 2005 for an aerial mapping photo job. I’d been into shooting lots of landscape images for a few years prior to that. I guess it was a pretty natural direction to head with a new coastline to explore in and out of the water. My main bread and butter was, and still is, aerial mapping photography. That work is mostly concentrated from Spring to Autumn, when the good weather’s available, so I’ve had most of the winters free. This allowed me loads of scope to capture the immense waves and weather Ireland is battered by each winter. How has the surf scene changed in the time that you’ve been photographing there? I haven’t shot that much surf in recent years as I increasingly spent more time abroad but Ireland has obviously gained an increasing reputation as big wave playground on an international level, even though it’s a freezing cold, harsh and fickle one! The regular and big wave lineups have definitely filled out with numbers too, but compared to many surf destinations, it will always take a super keen and hardy breed who have done their homework to hunt out the gold that can be on offer here, whether you’re a local or a visitor. I’m planning to shoot a lot more this winter as I’m home now, mostly full time. I have got increasingly into drone work over the past couple of years and I’m keen to explore this angle more along with some time back in the water also. With the help of my mate Oli Hegarty we made a short aerial test edit from the last decent clean swell at Mullaghmore in January which was shown at the awesome ShoreShots Surf Film Festival. A taste of things to come. What are the waves and the surf scene like there? I wouldn’t want to be anywhere else on the planet in the Autumn. Warm(ish) water, fairly consistent long period swells swing up the gulf stream and the holiday crowds have thinned out. On the north coast where I am based, we have a fairly mellow scene with mostly beach breaks, which often require a fuller shortboard or longboard. Within 1-2 hours drive, you can discover every type of reef or point you could ever want if you know where and when to look. I have a few things! As a photographer it has to be the light. Whether it’s a landscape, line-up or water photo, the light and weather conditions can change very quickly, which can be a challenge, but it can also generate a moment that is completely unique to capture. After a crazy day on the coast, or in the water you can’t beat warming up the bones beside the fire with a pint of Guinness reliving the days’ moments on screen. Also, the people. There is always a friendly welcome to be found passing through various isolated rural communities in Ireland. Compared to other countries I’ve been to, the atmosphere in the water is usually fun too. I hope it remains that way! 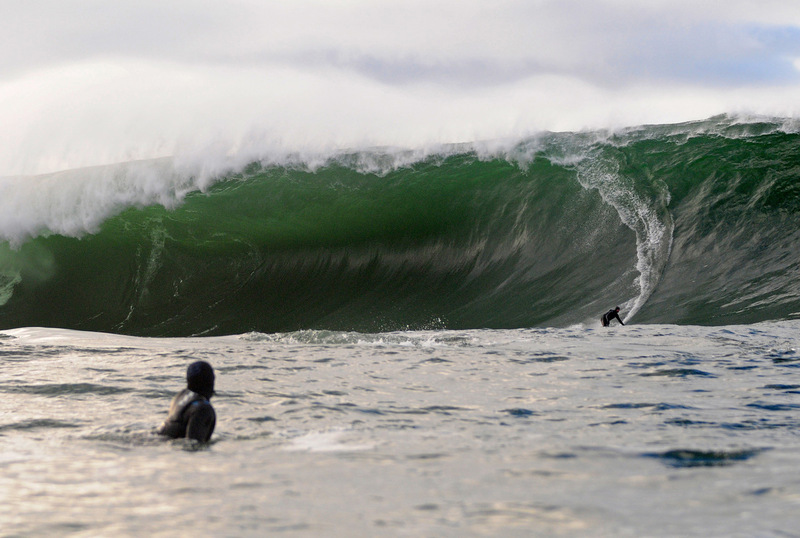 What’s your craziest memory from your time spent photographing surfing in Ireland? It’s not the scariest or hairiest memory (too many of those to mention) but there’s one that sticks out as definitely the most magical day I can remember. A few of us headed out early one morning on the skis from Doolin harbour to the Cliffs of Moher. There was thick fog that was just starting to lift. We drove past Crab Island which was maxing out and then we got a bit disorientated, initially ending up at a totally wrong part of the cliffs. As we arrived at Aileens, the fog started to lift in patches to reveal a thick white blanket of cloud spilling over the tops of the 700ft cliffs. The natural setup of the waves and scenery at Aileens are already overwhelming but that day’s visuals are imprinted on my brain for a long time to come. See more images and grab prints of Gary’s amazing work on his website here.